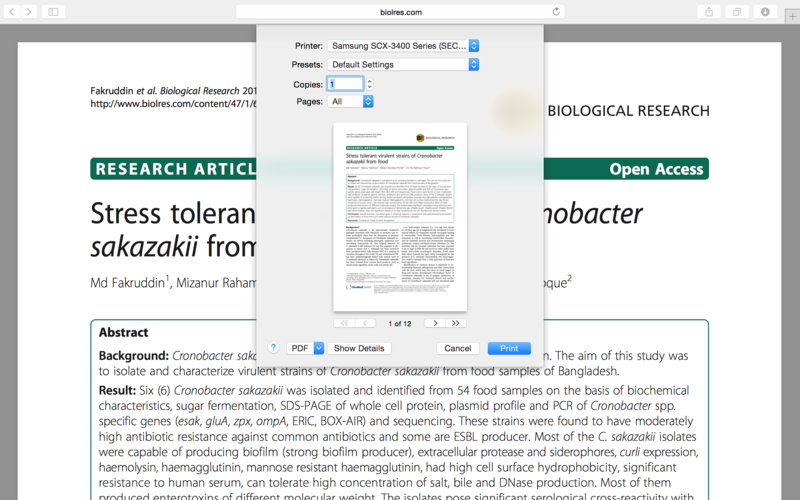 You can easily add any document to your Papers library by selecting the 'Print' option when the document is open (please note: this feature is only available on a Mac). Simply select to print the desired document and the following window will appear. Select the drop down menu for PDF and select 'Save PDF to Papers'. This document will now appear in your Papers library. This document will save in your Papers library as a pdf. To change the document type, select the imported pdf. Select the info tab in the inspector window. 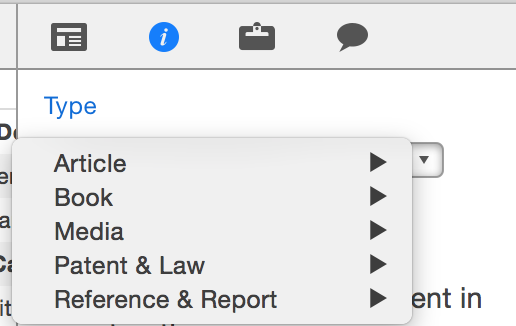 Under the title 'Type' select the document type from the drop down menu. Now you can edit the metadata of this document.